The Neapolitan chef effortlessly combines the flavours of Italy at his Turin-based bistrot, with a particular focus on local tradition and seasonal recipes. Located in the heart of Turin, behind the Church of the Gran Madre, the Cannavacciuolo Bistrot Torino was established to offer diners a unique, elegant experience. 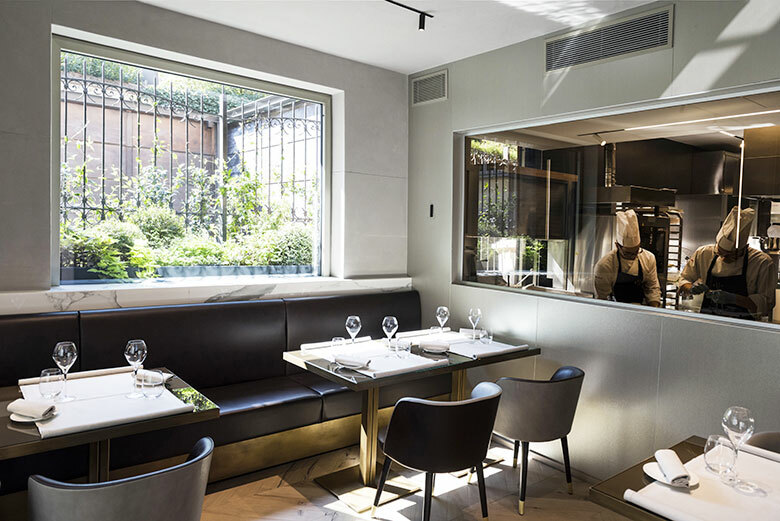 This restaurant highlights the essence of Antonino Cannavacciuolo’s culinary art, which sees traditional ingredients from Antonino’s homeland mixed and matched with those from Piedmont. Housed inside a late 20th-century historical building, under a vaulted ceiling of exposed brickwork, the space has been designed in keeping with the philosophy of Feng Shui, creating harmony in shape and energy in lines, thanks to the specific positioning of its tables, chairs and light fixtures. The bistro’s menu features light, high-quality offerings that pay tribute to Piedmont, the adopted home of the famous Neapolitan chef, who owns two other restaurants in the region, including one starred venue. The menu features the great classics of regional cuisine subtly re-imagined with an innovative twist. Signature dishes include ‘tonno vitellato’ with a bottarga (fish roe) mayonnaise, tagliatelle with shrimp and brains and, for dessert, Bonèt and raspberries. Depending on the season, Cannavacciuolo and Chef Nicola Somma create a menu featuring strictly seasonal ingredients. Autumnal standouts include rigatoni with grilled pumpkin, truffles and provolone del Monaco cheese, and lamb flavoured with mint, pecorino cheese and friggitelli peppers. In addition to great food, the bistro’s menu is enhanced by an extensive, well-chosen wine list. Open Mon 7.30pm-11pm. Tue-Sat 12.30pm-3pm and 7.30pm-11pm. Closed on Sunday.